Car manufacturer Bentley wanted to do something very extraordinary and astonishing for its new marketing campaign. 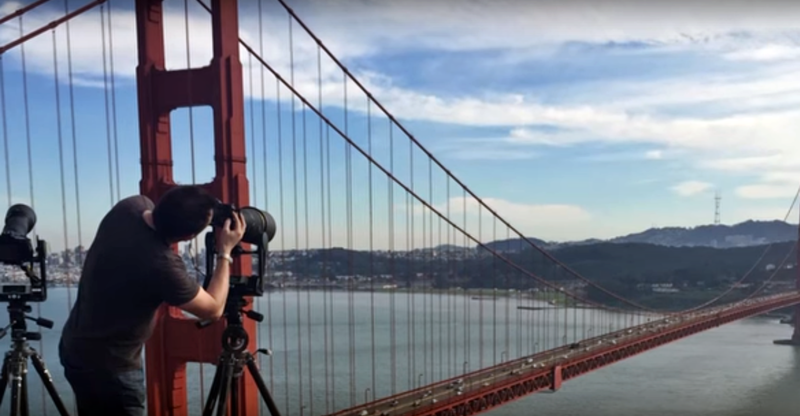 They decided to capture an image that simply looks like a beautiful landscape with the Golden Gate Bridge as the main subject, but when you zoom all the way in you will be stunned. Below is the video of the process of making the image – you can see the photo on their website.